Thus sang the cast of Bugsy Malone, and that’s exactly how I feel after the amazing generosity shown by Frankie and Marcel of Frankie’s Farmshop in Staplehurst. 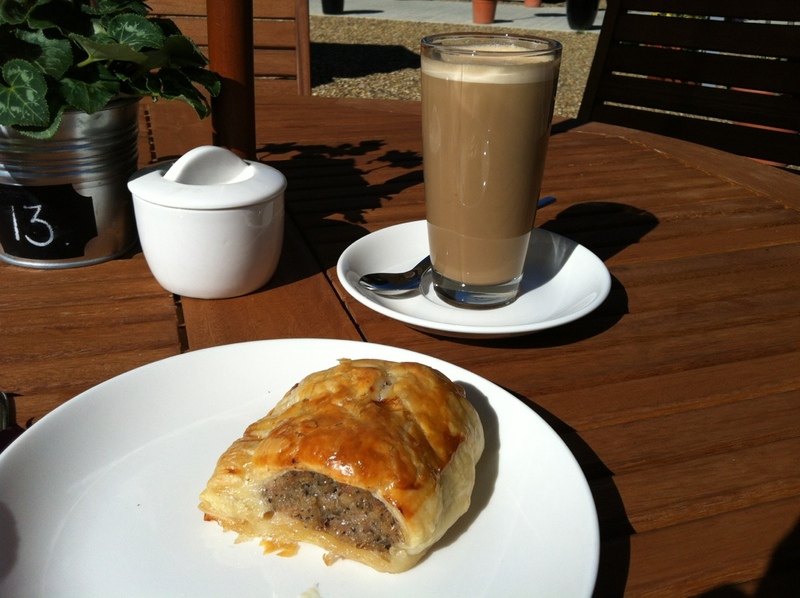 You don’t have to go back far on this blog to find a post describing the delicious, locally-sourced food you find at Frankie’s, whether it’s the chocolate brownies, sausage rolls or the stock of Lovely drinks they keep (that’s the name of the brand!). Everything we have bought has been of the highest quality, and the people are so friendly that I really have written about the place a lot. Well, the other day I received a lovely message from Frankie herself thanking me for my kind words, and letting me know about all the exciting new products they were about to sell. That truly was lovely to read. A few days later I took my German penfriend (yes, we still write to each other in this day and age!) to Frankie’s and introduced myself as the Chris Riley from Riley’s Random Review. We had a great chat, and, even better, Frankie gave me one of the new products they had just started stocking: potted Roquefort, pear and walnut. I left with instructions to let it get up to room temperature to spread, and also left with the bread to spread it on. You can see it all in the picture above. So, incredible generosity, truly, and the food was delicious. 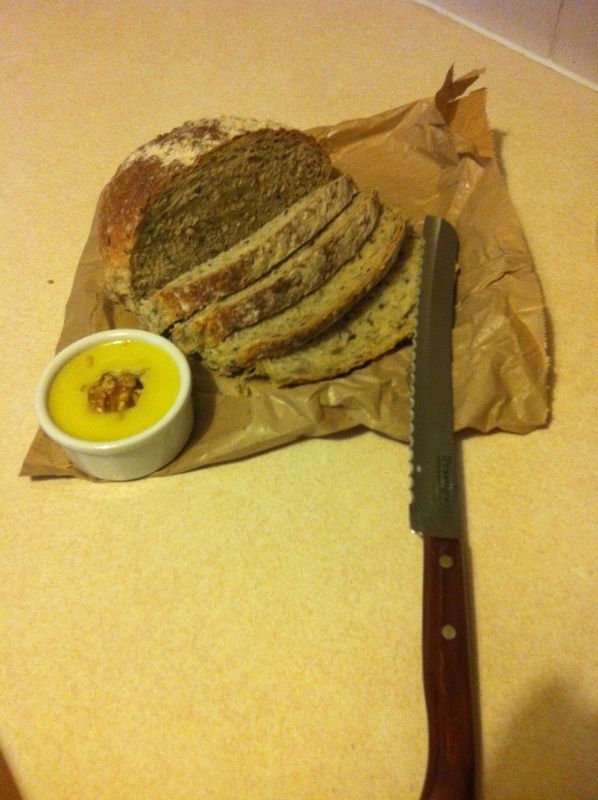 We lightly toasted the bread, and spread on some butter and the potted Roquefort. The Roquefort came from a company called Smoke and Pickle, and I heartily recommend checking them out. They also do a potted shrimp, mackerel and other delights. 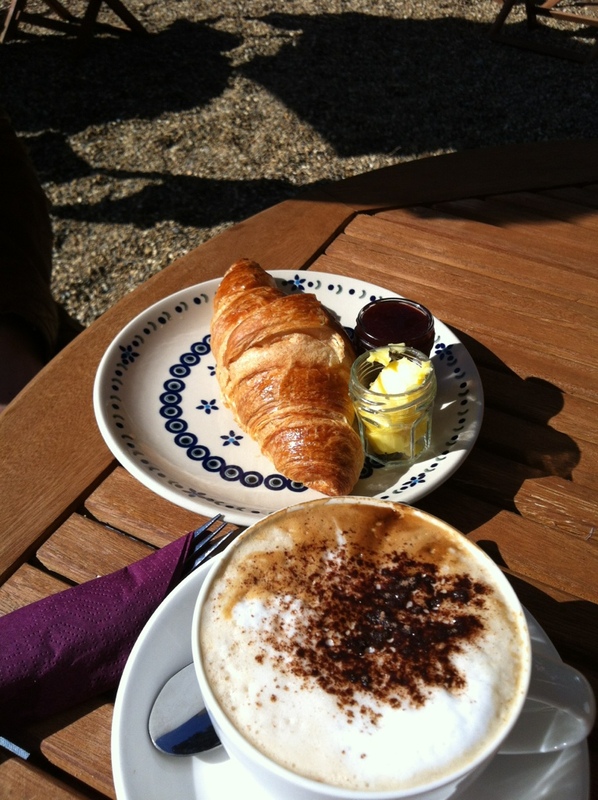 While we were there we couldn’t not have breakfast, so I treated myself to a hot sausage roll and Regina had a fresh croissant, with plenty of jam and butter! Thanks Frankie, Marcel, and all the staff at Frankie’s Farmshop! That sausage roll looks lovely! Looks lovely! Was it brown soda bread?